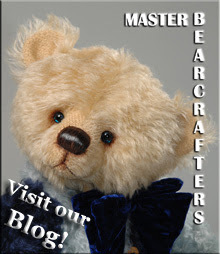 Unfortunately I've had to cancel my table at Hugglets on the 23rd Feb. Recurrent headaches have seriously reduced my bearmaking activities. I have been told recovery may take several months. On the bright side, I hope I'll be recovered in time for the September show. 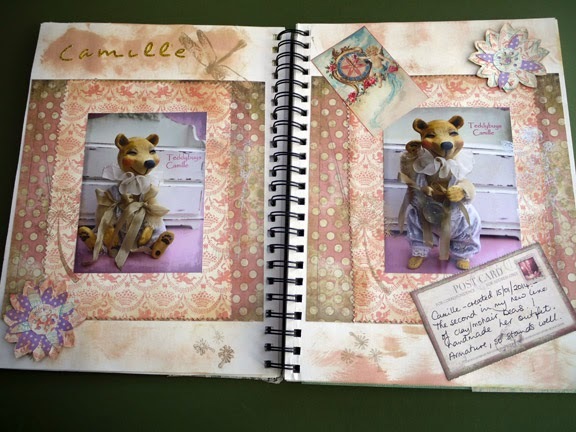 While I have been waiting for my clay head sculpts to dry, I have put together the first two pages of my Teddy Journal. I wish I had thought of this before! 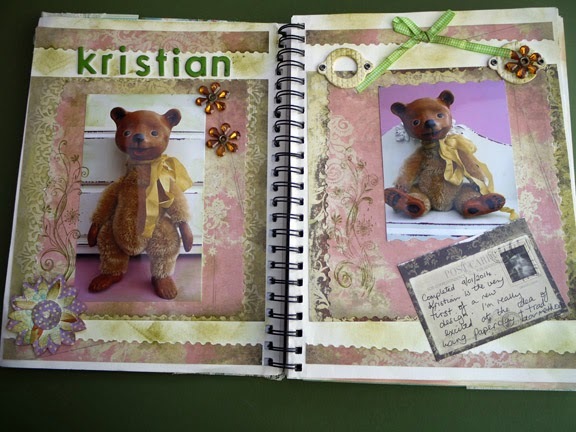 It allows me to make notes about each of the bears and it will be a reminder of the bears I have made. It also gives me an excuse to play with paper and glue!